Hey guys, I’m Moby. My real name is Maximillian Mohammed von Briesen. I grew up in a muslim household with three sisters and a brother. When I was in middle school, I got super into programming because I wanted to make games. 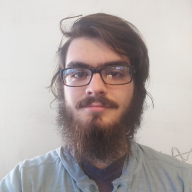 Towards the end of high school, my classes were completely online, so I was fortunate enough to have the opportunity to work as a web development intern at a company called Skookum. After high school, I ended up attending Georgia Tech in Atlanta as a Computer Science major. In my freshman year, I was offered an internship at Bitpay, where I met 09HF4JLV and many other cool people. There, I was exposed to and influenced by ideas like open source software, cryptocurrencies, and free society. Now I work on open source software as an intern at Mozilla. In a few weeks, I will return to Georgia Tech for my junior year. I really like music. I have favorites in pretty much every genre you can imagine (though my roots are in Trance). I like working on music visualization projects. It allows me to combine my music and programming interests. I am also currently teaching myself piano and music production. Final fun fact: I’m married. I got married this past March to another student from Georgia Tech. Most of our fellow students think it’s super weird that we even considered marriage before we graduated and had stable jobs, but neither of us have any regrets so far. Also, apparently once you get married, it’s suddenly appropriate for everyone to ask you when you plan on having kids. That’s a little weird in my opinion. I have too much debt to think about that right now. I’m currently writing an essay about privacy and security. I wanted to know if anyone has a link to any sort of study or paper that shows that open source code is better for security than closed source code. I know the arguments, but wanted to know if there are any statistics or hard facts I can use to support them. Anyone here play Rocket League?